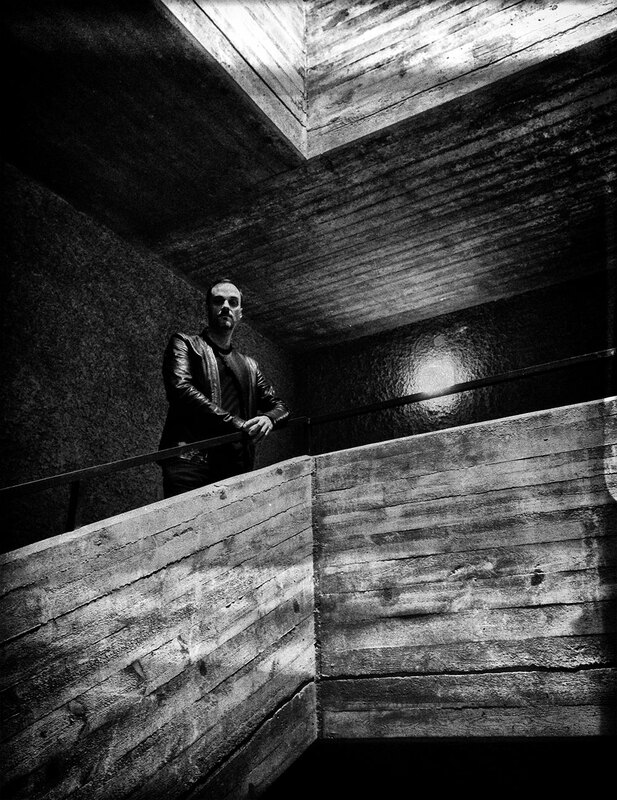 Frédéric Arbour is probably one of the most important people in the dark ambient scene. Since the early 2000s, his record label, Cyclic Law, has released some of the most important and influential dark ambient albums in the history of the genre. Though, Arbour himself has always seemed to be one of the most quiet voices within the genre. Along with running the label, Cyclic Law, Arbour creates music in various projects including: Havan, Stärker and Instincts. His other project, Visions, has just released a brilliant new collaborative album with Phurpa, entitled Monad. So, now seemed like a great time to catch up with him to find out more about Visions, his collaboration with Phurpa, and the Cyclic Law record label’s past & future. Enjoy! Michael: First I’d like to talk a bit about your new album Monad, a collaboration with Phurpa. After your last two releases as Visions, you decided to take a break from the project. Was this release with Phurpa aligned with those plans, or did this opportunity come as a surprise, changing your plans? Frédéric: I guess it was neither a surprise nor planned. I had put Visions on hold for an indefinite period to focus on Stärker and Havan and a few other collaborations I have also been involved in, and this past year I felt I had to rethink my approach and sound and decided to focus on Visions again and go forward with new ideas. Michael: How long have you known Alexey Tegin? How soon did you decide that you would want to collaborate with him and the Phurpa project? Frédéric: I have known of Alexey since 2002 from a release under his own name titled Gyer. Also, having been close to Tibetan ritual music for many years prior, his unique take on this tradition immediately resonated with me. We were in contact some years later, and we were able to finally meet in 2014 while I was hosting a Cyclic Law night in Moscow, where Phurpa closed the evening. Alexey was also kind enough to invite us to his home and ritual chamber. We have since kept in contact, and have also released 2 other albums by Phurpa through Cyclic Law. Michael: Did Visions and Phurpa come together in a studio setting to create Monad, or was this done electronically between Germany and Russia? Frédéric: It was done through exchanging ideas and audio files electronically. Alexey sent me mantras which had specific intents, that I then processed and merged into what became Monad. Michael: Were there set guidelines for your individual roles (i.e. Phurpa does all percussion, Visions does all drones), or was it a more fluid process? Frédéric: It was quite fluid, there’s chants and percussive elements from both Phurpa and myself. I layered the drones and atmospheric elements throughout, and also did the final mixing and mastering. Michael: How did you decide on Monad as the title for the album, and I assume the theme of the release as well? Should we assume this to be the Monad of Gnosticism? Frédéric: It would translate to the totality of the whole, and its source, and the channeling of this primordial force. Michael: Obviously, Phurpa is a very spiritually oriented project, backed by the strict adherence to the beliefs that Alexey Tegin holds. Would you consider Visions to be an equally spiritual project, or do you seek to harness more abstract ideas? Frédéric: Spiritual, most definitely, with a strong dose of abstraction. At its etymological roots, the word abstract relates to being “withdrawn from worldly interests”. This is where Visions stands. Michael: How did the similarities/differences in the religious/world views between Visions and Phurpa play into the creation of, and energy behind, this release? Frédéric: Let’s just say that we both channel and explore the same currents through our musical means; and this is how / why our paths crossed and we’ve come to this collaboration. The result and energy it emanates speaks for itself. Michael: With Monad released, will Visions continue to be a main priority for the moment or will you allow it to patiently lie in wait for your next inspiration? Frédéric: This release is a prelude to the new album coming early next year, I’m working on new material that is soon approaching completion. Michael: Let us turn the attention now to your role as founder and main operator of the Cyclic Law record label. 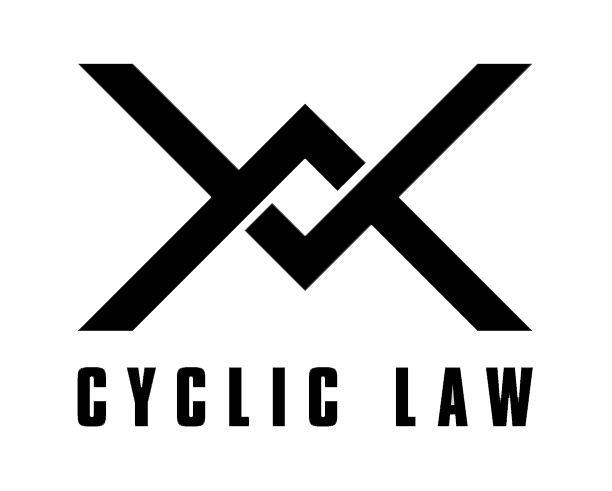 In a word, how are things going at Cyclic Law at the moment? Frédéric: Things are good, there are quite a few titles planned for the rest of the year and well into 2019. Michael: You’ve recently made a huge move, transporting the whole Cyclic Law operation from Canada to Berlin. Would you care to speak any on the reasons for that move? How are things in Berlin, so far? Frédéric: I’ve known for many years that I would at some point move to Europe. I’ve been traveling and touring Europe yearly for over 20 years now, and have always felt more at home on this side of the Atlantic. Berlin was a more strategic choice in terms of ease of relocation and for its very active cultural landscape. Things have been quite good for me as a whole here. I’m definitely glad this move came to its conclusion. Michael: Obviously, during the previously mentioned move, the label’s output was a little slower, though it has considerably increased in the first half of 2018. Will you be planning to keep things moving at this pace for the near future? Frédéric: Yes, moving took some adjustment, but 2017 and 2018 have been quite active with very interesting releases coming my way, and there’s quite a lot in the works. Michael: I haven’t read any previous interviews with you, so I thought it would be interesting to hear a little bit about the start of Cyclic Law from your perspective. Those first few years, releasing the first handful of albums which ended up having such an impact on the dark ambient genre. What were your feelings starting up the label? Michael: Did you have any intentions of still doing this almost two decades later? Frédéric: Well you can never predict where things will lead you. But, my intentions to push this forward as long as it feels relevant have been there from the start, and I hope I can keep doing this for some time still. Things change, but the music still speaks. Michael: Do you have any thoughts on the dark ambient genre as a whole, with the emergence of things like Spotify, Youtube, and too a lesser degree Bandcamp, that make it easier for listeners to absorb massive amounts of music, but harder for invested labels to pay the bills. Frédéric: Well these are 2 things, content vs form. As for content, well the genre has evolved and I’m still surprised by some of the quality and craft some artists deploy. Even after all these years, there are still new ways to interpret and approach this genre. As for form, well yes, there’s a lot of material out there and for someone diving into this genre today the scope is overwhelming. Album sales are fluctuating and the streaming reality is what it is. We just work with the means we have and keep pushing forward. Michael: Many people have quite rigid views on their favorite genres of music, whatever they may be. Do you see a great new horizon ahead of us, or do you think the golden age of dark ambient may already be in the rear-view? Frédéric: Most musical styles have had their “golden age” and now it is through convergence of styles and ideas that things evolve. I’m okay with this for the most part. Classics will remain classics, yet there are more classics to be made. Michael: The reemergence of vinyl has left its mark on dark ambient, as it has on most other genres right now. Cyclic Law got into the vinyl releases early on in this trend. For you as a label head, what are the ups and downs of vinyl? Frédéric: My initial goal with the first releases was to give the CD format the aspects I had enjoyed of vinyl, the smell and feel of heavy cardboard, inserts, gatefold sleeves etc… this was at a time when vinyl was almost out of the picture. Yet, we were releasing vinyl back in 2003, before this “comeback” of vinyl. Now we can offer both CD and vinyl, and even cassettes. So, it’s interesting to be able to present all these formats. I maybe secretly miss the 8-track cassette days of my youth. Michael: You played a big part in the startups of Kammarheit, Northaunt and Svartsinn. You found Psychomanteum, the first released project by Robert Kozletsky, now best known for Apocryphos, while he was still in college, only beginning to even realize his own talents. The list could go on. Do you have your eyes set on any artists right now that you think are incredibly talented which haven’t yet gotten the recognition they deserve? Michael: What can we expect the future to hold for Cyclic Law, business as usual, or any surprises on the way? Frédéric: Well business isn’t quite usual here. There are definitely some surprises. But, I’ll have to keep the suspense for now. Michael: Thank you so much for your time, Frederic. It’s been a great pleasure getting to pick your brain! Frédéric: Thank you Michael, and for all your work. Your platform is a haven in a sea of insignificance.